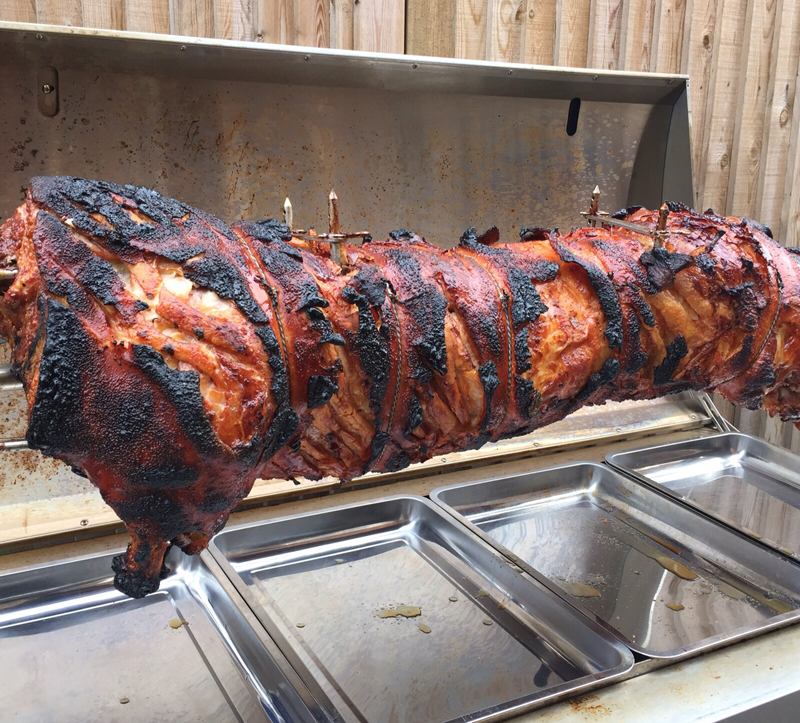 We had the great pleasure in doing a hog roast for the wonderful occupants of Horsell village in Woking. 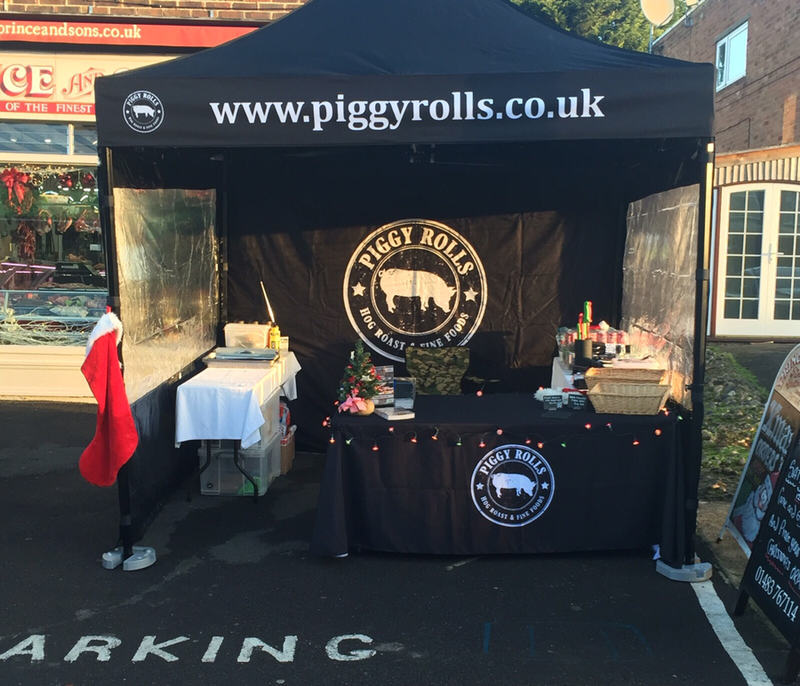 Up at the crack of dawn, we headed down to Prince & Sons butchers to set up our gazebo and get the pig on the spit – it was slowly roasting away all by 5:30am! 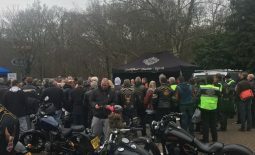 Horsell is a small town just outside Woking, it has a small friendly community and it was great to see so many people out and about. On Saturday there was the annual village school Christmas fair as well as the Christmas tree festival at St Mary’s church so it was a busy day with lots of passers by. 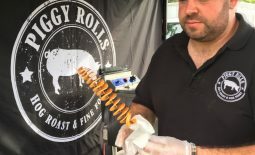 By 12pm our pig was wafting glorious smells up the high street and it was time to carve it up and serve it to the hungry passers by. 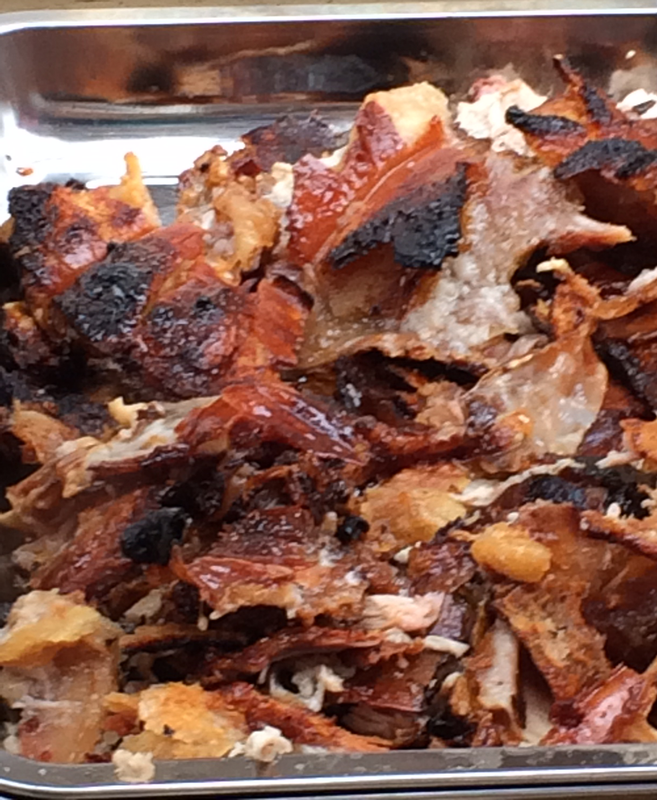 We decided to serve our hog roast up with homemade coleslaw and homemade apple sauce. 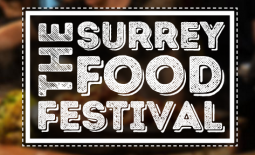 Amazingly and rather surprisingly we were sold out by 1:45pm and were turning people away. 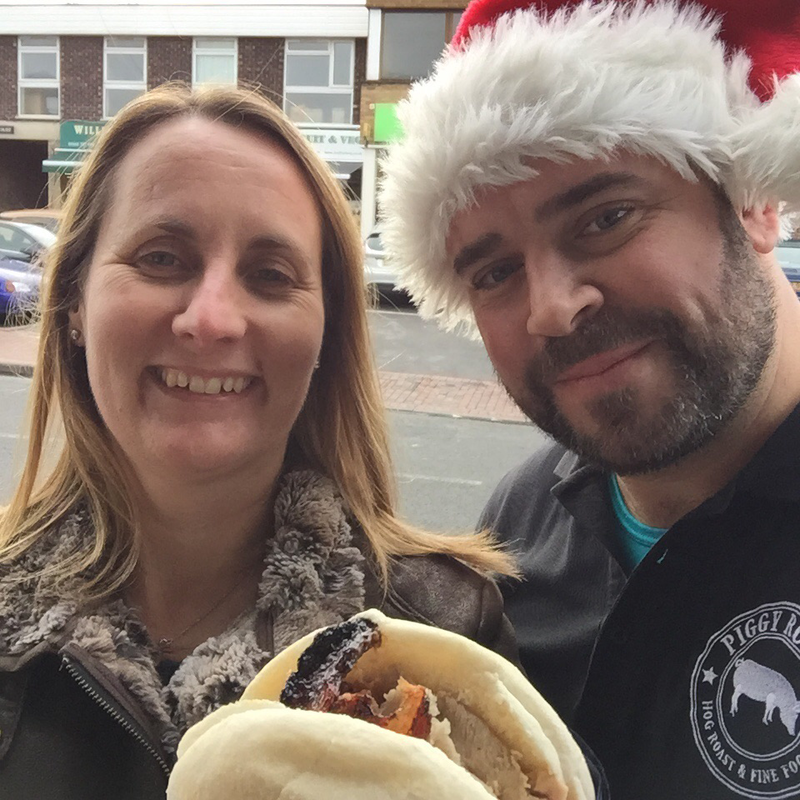 Getting our festive on	Piggy Rolls gets busy in 2016!